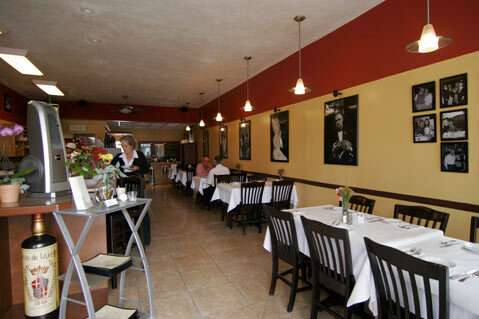 What: Authentic Italian fare in recently renovated downtown Carpinteria. How Much: Paninis ($8-$9), dinner entrees ($12-$22). Linden Avenue is one of two charming main drags in downtown Carpinteria, with a healthy variety of restaurants packed into a small area, but if you’re looking for Italian, Giannfranco’s Trattoria is the place to go. It is part of the new movement in Carpinteria toward fine dining and high-quality establishments that draw crowds from out of town. Serving lunch, dinner, and afternoon pastries in a small, brick-faced building, the family-run business dishes out a variety of authentic recipes at reasonable prices. Ride your bike along the coastal route from Santa Barbara to Carpinteria for a relaxed ciabatta panini lunch paired with an Island Brew Co. beer on their rustic back patio. Popular options are the Mediterraneo (roasted eggplant, peppers, zucchini, onions, mushrooms, shaved Parmeggiano, and garbanzo aioli) as well as the Romano (salami, roasted turkey, ham, provolone, tomatoes, and mustard aioli). The dinner menu features rigatoni, angel hair, pillowed ravioli, and penne with delicate cream sauces and truffle extra virgin olive oil. Braised double cut short ribs fall of the bone with melting tenderness and are served with caramelized root vegetables.